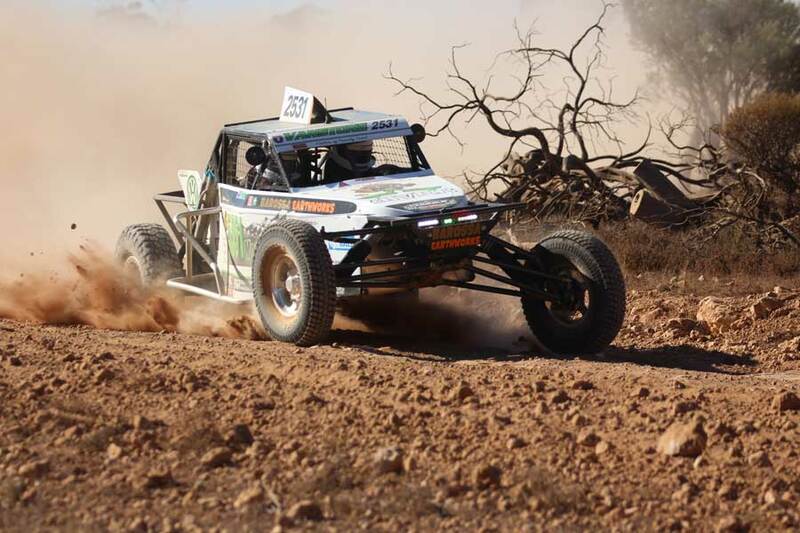 Eight days ago at the Waikerie Hotel ARB Riverland 300 Hadyn and Neil Vanstone were doing what they love; off road racing against some of the best class 2 competitors from across South Australian and the country. Unfortunately, for the brothers, their weekend of racing ended abruptly with an on track incident mid way through their fourth lap. 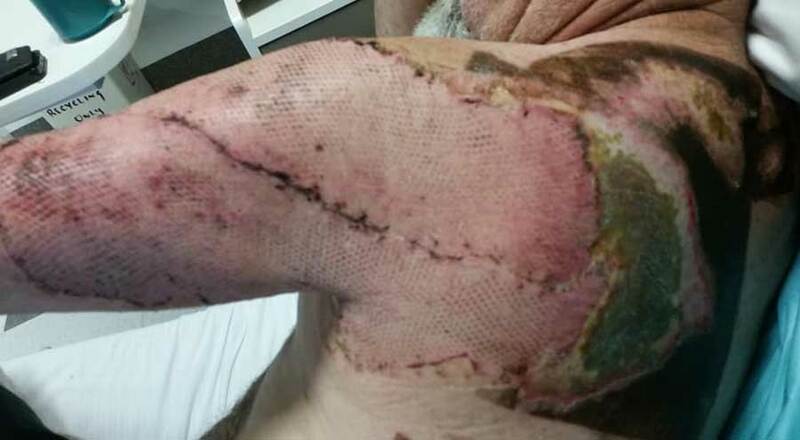 Hadyn sustained third degree burns to the back of one shoulder through to under his arm and was flown by the Royal Flying Doctors from the Waikerie hospital to Adelaide on Sunday night and then transferred to the burns unit at the Royal Adelaide Hospital. Hadyn underwent skin grafts last Monday and today, has been released from hospital and on his way home for a lengthy recovery period, but all the signs are looking good for a full recovery. Neil was battered and sore when released from the Waikerie Hospital on Sunday night but further scans during the past week have found he has a fractured collarbone. “We have been overwhelmed with the support from the off road community and we hope that, as a sport as a whole, we can all learn from our misfortune and make the sport better for everyone”. 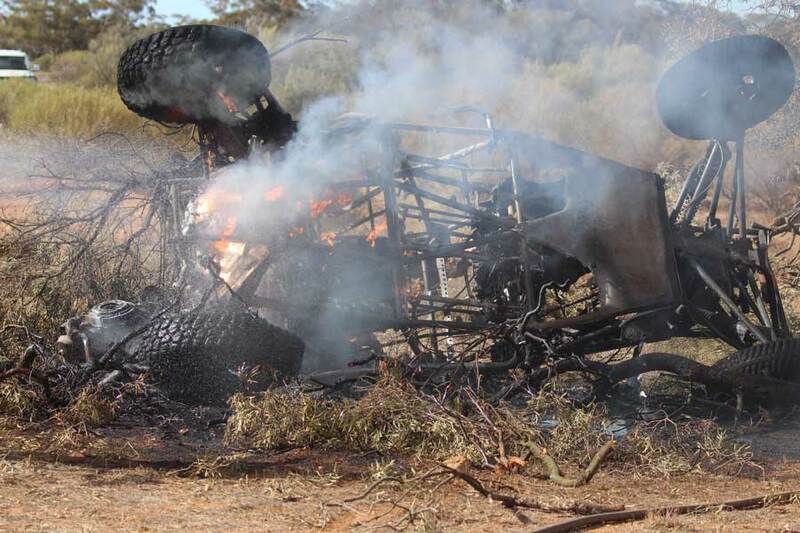 “I would like to sincerely thank the medial staff at Waikerie Hospital and the surgeons, doctors and nurses at the Royal Adelaide Burns Unit; their care has been second to none; the Royal Flying Doctors Service for getting me to Adelaide and into specialist care so quickly; and all the offroaders, friends and family that have dropped in to visit, rang up or messaged; we are truly humbled by the support”.